We are all quite familiar by now with the VA’s habit of throwing everything but the kitchen sink into the VISTA records. We’ve even seen instances where they insert “aftermarket” penciled in notes that somehow refuse to be erased. Phil Cushman and our very own member Robert can be cited as to that phenomenon. What then to make of the newest VA technique of trying to insist the Vet is blaming his HCV on a jetgun? What makes this one particularly humorous is that a) they didn’t have jetguns in 1950 and b) they didn’t have disposable syringes either. Which leads us to the disturbing realization that the only way possible to avoid a huge backlog at the autoclave machine during the Korean War draft would have to have been (gasp) reusing glass syringes and the needles. This would actually be every bit as risky as the “plausible” cross-infection of Veterans via jetgun who came along later for my Southeast Asian Boundary dispute. Think about it, folks. To ensure sterility, a glass syringe took 20 minutes to autoclave at 249 degrees Fahrenheit. We would presume the needle would too. You can do the math if every one of those recruits needed a minimum of 8 inoculations before departing for Seoul, ROK. ……….Which brings back an old memory. After my transfusion at Lima Site 20 Ban Sam Thong (the 12- bed Air America Hostel/Hospital) one September evening, the next morning I watched as the Laotian “doctor” took their four glass syringes out of the saucepan they used to boil tea water in. He touched the tip of all the needles to ascertain their sharpness. One was dull so he whipped out his pack of matches from his trousers pocket and began sharpening it on the striker flint. He blew it off, felt the tip again and it passed his inspection. He triumphantly proceeded to mount it on one of the autoclaved sterile non-disposable syringes. So don’t even talk to me about 1970 sterility-let alone 1951. Busted. This is a classic example of production line nexus determinations at the Heavenly Saints Memorial VARO in St. Peter’s burg. The Presumption of Stupidity rears its ugle head once again when Johnny Vet files for Hep C. The automatic presumption is drug abuse and the default setting is jetguns. Either way, the denial spaghetti is already stuck to the wall. 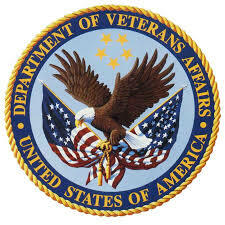 In May 2011, the Veteran underwent a VA examination. The examiner stated that he was unable to provide an opinion without resorting to “mere speculation” because it was possible that the Veteran came into contact with contaminated blood because of his combat status and that the use of air gun injections “may potentially” transfer blood borne viruses. The examination is inadequate for two reasons. First, its use of the speculative phrase “may potentially” renders it non-probative. See Warren v. Brown, 6 Vet. App. 4, 6 (1993). Second, the examiner was informed that the use of air gun injections was the Veteran’s claimed risk factor for HCV and that was not the Veteran’s assertion. In March 2011, the Veteran had informed VA that he never asserted that he contracted HCV via air gun, and instead it was due to the use of unsterile hypodermic syringes. Ruh-oh, Rorge. I will hand this old boy one attaboy. He promptly went out and got his attending physician of 30 years, who originally diagnosed him with Hep in 1992, to write a bang up nexus letter that cemented the deal. The second problem is that the VA examiner just gave Johnny his nexus by saying he may have gotten blood on him in a combat situation. Combat presumption means VA rating. Period. Well, everywhere except St. Pete’s maybe. What we are coming to see these days is the submission of a nexus letter at the Board of Appeals is far more likely to carry the day after you leave the RO’s jurisdiction rather than before. Regional Offices are constipated beyond belief regardless of what you heard from the Monday Morning Workload Reports. VA has created additional folders and in-baskets to divide the various claims into subgroups. If you ask for a DRO review, they put your NOD into the DRO box for further action in 2018. If you submit new and material evidence and ask for a traditional appeal, they can shovel it into the “Awaiting de novo review” in-box for further action in 2018. After a new denial and subsequent SOC, they can shovel your Form 9 into yet another in-box awaiting “certification” and a VA Form 8 issued in 2018. Each one of these entails a 16 month to 2 year delay- hardly the streamlined VBMS 125-day 98% accuracy assured us by USB Allison Hickey back in 2012. Oddly, they almost always all end up in the same place-the Board of Veterans Appeals- where they join the other 440,000 appeals awaiting their turn. So what’s a Vet to do? Here’s what we at asknod have been advocating for years. If you submit new and material evidence at the RO, do it as a DRO review by all means. Asking for a hearing is optional but it may help. What will never work is a wobbly nexus with ‘probably’ or ‘could have’ in it. To guarantee a win now, we suggest taking the shiny new nexus letter to the BVA, take a number and sit down. Yes, it’s time consuming and a big delay. But what most do not know or fathom is the mayhem afoot at the BVA now. Every man jack VLJ is expected to crank out one point two decisions a day come Hell or High water. This creates an urgency that surpasses even a diarrhea moment in Mexico an hour or two after those funny-tasting tacos you bought next door to the Veterinary clinic. Because there is no negative opinion or other medical evidence against his claim, the Board finds that the October 2015 opinion from Dr. P. W. satisfies the nexus element of a service connection claim. 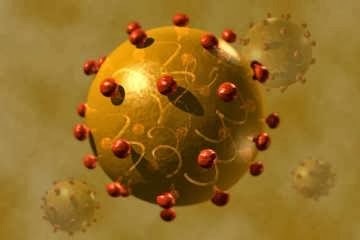 Service connection for hepatitis C is granted. 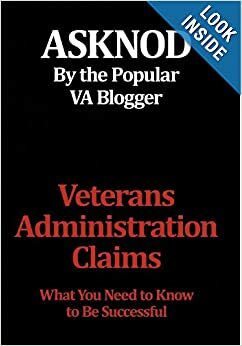 VA attorneys are soon going to see the value in this and counsel their clients to avoid DRO reviews and the new “reconsiderations” VA is trying to pawn off. This delaying tactic has worked for years and has done nothing but generate new in-baskets to hold back the overflow headed to 810 Varmint Ave. NW. The cruel hoax of the new Fully Developed Claim (FDC), or what we are now calling “develop to deny” has become glaringly apparent. Yes, in defense of VA’s bungled attempts to fix this, I will admit a certain number of DRO reviews, with and without hearings, are bearing fruition. However, the number of Veterans who succeed are simply dwarfed by the denials. This leads us to suspect the ages-old habit of top sheeting is alive and well at the ROs. The sheer volume of “preappeals”, for lack of a better term to describe the post-denial adjudicatory motions, is stupendous. A VBMS electronic, word-searchable .pdf is only as effective at ferreting out useful, needed information as the person operating it. If all a Decision Review Officer does is blindly begin scrolling down through the .pdf until the boredom and ennui overcomes her/ him, you are going to be denied. This is why your SOC often seems to be plagiarized directly from your original denial. It also might explain why they did not discuss any new evidence you submitted with your NOD back in 2014. This isn’t rocket science. You don’t need a Perry Mason to rephrase it for you. Most assuredly, you do not need a DRO to reiterate your initial denial in the SOC under the pretense that s/he considered the New and Material Evidence you submitted. Learning how to beard the lion in his own den is a constantly changing technique. This wouldn’t have been advisable ten years ago- but then who would have expected a war in Iraqistan to go on for 15 years? Who would have thunk that someone would flush a million claims down the denial pipe and merely push them to the next overcrowded and inundated judicial venue? I always search for new, innovative ways to cut the Gordian knot. After all, my first name is Gordon and I was named after the knot. Did I ever mention the sniper at Kosovo airport who had my number? Sir Edmund Hillary and I were pinned down for hours. All joking aside, I do look for ways to speed the process up or to ensure a knockdown with one shot. Few know this and I am not crowing about it, but I invented this gem below. If you do your own reloading, you’ll find it very easy. 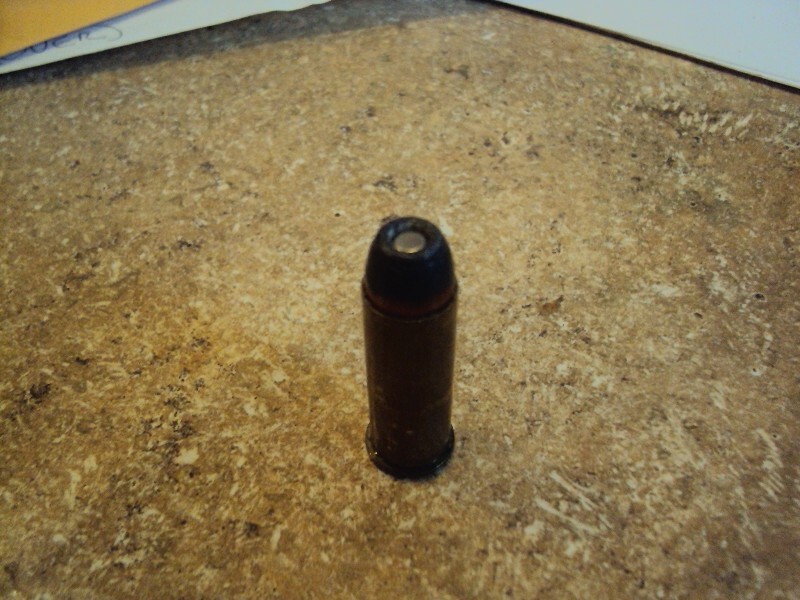 Take a large magnum cartridge such as a .357 or .44 and drill down 1/4″ into the hollow point cavity using an 11/64″ drill bit. Drip a very small drop of fingernail polish into the newly enlarged cavity. Insert a Small Pistol primer face up using tweezers to ensure it enters straight on. Nestle it down about 1/8th” inch to ensure a good expansion on impact with adequate shrapnel laterally. The polish will act as a cushion so the primer doesn’t go off from the inertia of the sudden acceleration. It makes a watermelon evaporate into thin air. A five gallon bucket of paint is childsplay but don’t stand too close. Cupcake insists this is ample proof of the old adage that idle hands are the devil’s workshop. Regardless, it’s Eau d’ Cordite-a man’s scent. This entry was posted in BvA HCV decisions, Jetgun BvA Decisions, KP Veterans and tagged ASKNOD BOOK, asknod.org, Disabled Veteran, DIY vA Claims, Gulf War Claims Help, Gulf War Vets Help, HCV, HCV Decisions, HCV Health Tips, HCV Veterans, HCVETS, Help with vA Claims, Help with vA HCV Claims., Helping Veterans, Korean War Vets Help, Service Connection, VA claims, VA HCV Claims Help, Veterans Benefits, Veterans claims help, Vietnam Veterans Claims Help.. Bookmark the permalink. “Don’t ever let them talk you into appealing to a BVA hearing. They will delay it for years and then it won;t go well for you then. Then you have to start all over again. Keep it in writing and you control it. It may take longer but keep it in writing.” Then he told me another interesting fact. He had worked in a VA regional office, location withheld to protect the guilty. He said, “The VARO board gets points for promotion based on the following. 1 if they can keep you from reaching the board they get five promotion points. 2 if they can keep you from getting rated they get another five promotion points. And 3 if they can reduce your rating down from the original rating if they have no choice but to rate you, then they get ten promotion points.” His description not mine. I asked what they did with that money that they are given to compensate vets that they manage to fanagel him out of. His response again, “They get bonuses for striking a vet say from 70 percent to fifty percent. Then later when that service officer left and another one took his place, after goting to a VA Regional Office he confirmed what the first one told me. So after fighting and refiling every six months without letting them take me to the board of appeals after thirteen years I finally was rated properly. The point I am making is don’t let them make you quit. Keep plugging away and writing more claims. I don’t know whose bonus I took but I hope it hurt him or her greatly. Got it. I’m the guy who likes the boom of doom. A primer is so easy and doesn’t pollute the biosphere. Just don’t drop them. Remember, I’m the one who invented the bottle rocket made out of the PE used as propellant on the 60mm mortar and the bailing wire that the box was bound in. Cut up a 2X2 ” c-ration can and fold flat once with the one packet of PE inside. Stick the 2 foot long bailing wire in as the shaft and fold again. Drop vertically into campfire as you walk by. Wait for it to heat up and take off. Occasionally good for a Purple Heart too. Incoming. I wish I knew then, what I know now concerning the St.Pete RO concerning DRO hearings when I asked for one…! Right. Where do you get explosive liquid mercury? Alternatively, how do you keep lead in a liquid state? What do you add to liquid lead to increase explosivity?